CHS Logistics are new members in Finland. The company started business in 1996 and have four offices across the country - Helsinki, Tampere, Lappeenranta and Kotka. The company come recommended by current members and Managing Director, Mikko Yli-Rahko states; "I have heard a lot of good words about the PCN staff, organisation, conferences and agents during my career in logistics. We aim to quickly become an active and dynamic member of the network and we look forward to joining everyone at the next Annual Summit in Costa Rica." Mikko continues; "CHS is a private Finnish company offering specialised transportation solutions for oversized and heavy shipments as well as for transportation projects with a long duration – all tailored individually for each job. We have special expertise in logistics services related to Finland, Russia and the CIS countries. 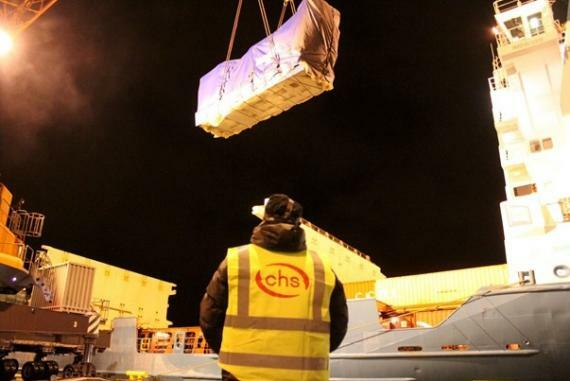 Our professional and experienced personnel provide high-class project management at all stages with a strong knowledge of local project cargo suppliers." Please click below to download the CHS project presentation including some of their recent successfully handled jobs.